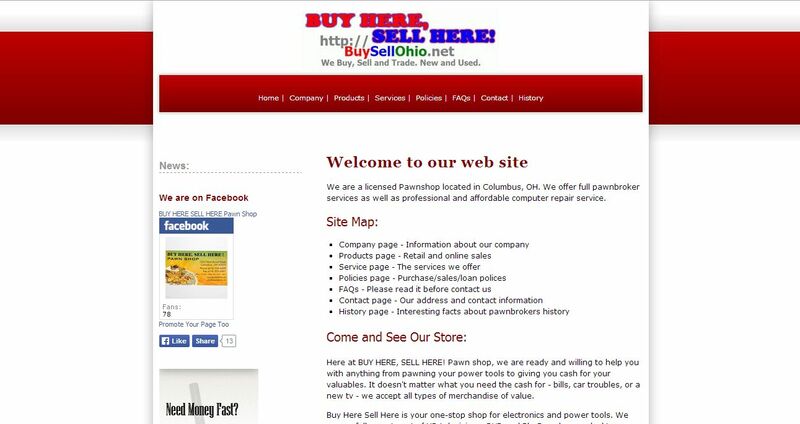 Buy Here Sell Here address, phone, website, hours of operation, and more. Buy Here Sell Here is your one-stop shop for electronics and power tools. We carry a full assortment of HD televisions, DVD and Blu-Ray players, desktop computers and laptops, and all the latest video game systems with a wide assortment of games and accessories. See our selection of automotive audio equipment, home stereos, musical instruments, studio equipment, and many top name brands of power tools. Don’t quite have all the cash on hand? No problem! When you’re ready to buy, we offer a 60 day, no interest Layaway program. Come see our store for a full assortment of men’s and ladies jewelry at a fraction of what the mall stores will charge you! We carry new and used diamond rings, earrings, bracelets, necklaces, pendants and watches. If you have any broken gold jewelry, class rings, or any other precious metals, we’ll buy it no problem.